Your car has to suffer a severe number of jolts every day, on every commute. Given the deteriorating road conditions in and around Cleveland, Saltburn-by-the-sea and Easington, wheel balancing in Easington has become imperative. But what is wheel balancing? Why is it important? And where can you get your car’s wheels fixed at reasonable prices? At its very basic, this process involves balancing a car’s wheel and tyre assembly by adding small weights around the surface. When done successfully, a car’s wheels run evenly even at extremely high speeds. Wheels and tyres do not, as a rule, have equal balances across the surface. Any difference in a wheel’s balance can cause accidents at high speeds, although they are barely observable at lower speeds. This operation is vital. If not done on time or done by non-qualified technicians, things can go wrong on the roads. This is why you should always visit only the best wheel balancing garages in Easington or elsewhere. One of them is Easington Service Station. No balancing operations with old weights: Old weights might seem like cheaper options, but they will not provide useful and accurate results. Most balancing operations use metal weights, which catch rust and mechanical defects in just a few years. 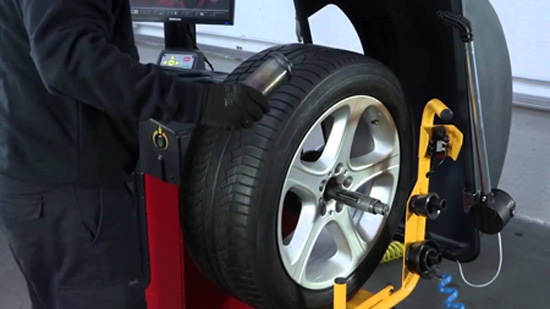 Proper remounting of wheels: This is where many service stations go wrong, remounting a wheel after a balancing operation is crucial for the entire operation’s success. Remounting needs proper service bays and technically capable technicians. Caution with the bead breaker: Bead breakers are useful for balancing operations. At the end of a balancing session, however, they are dead weights and can be hazardous and callous. Our service station is open on all weekdays between 8.30 AM to 5.30 PM and on Saturdays between 8.30 AM to noon. Book an appointment with us if you want to jump the queue. See what magic we can do!